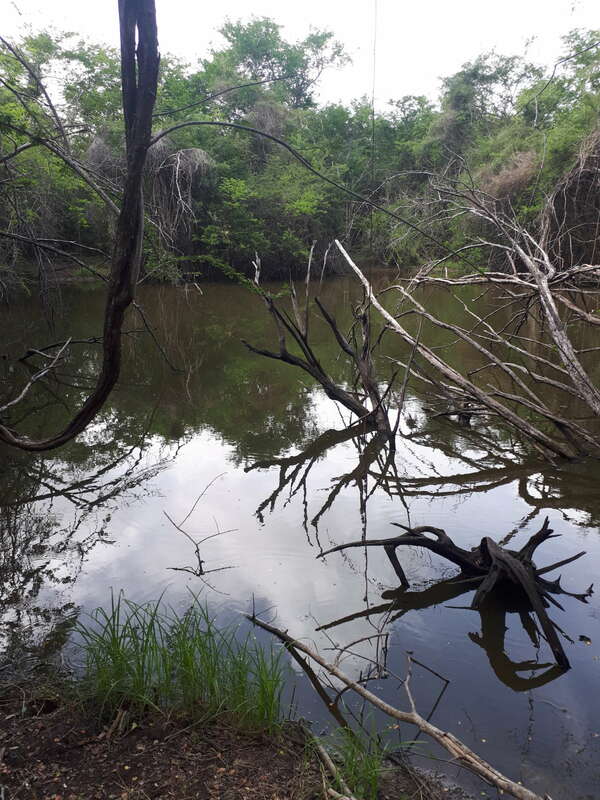 At our forest site in Calakmul Biosphere Reserve (Campeche, Mexico) water occurs in low density and mostly in the form of aguadas (semi-temporary natural ponds sustained by rainfall) during the majority of the year, and part of our research there is to investigate species that live in this unique environment. One such species is the endemic Morelet’s crocodile (Crocodylus moreletii). Although scientific knowledge has been rapidly increasing on the species over the past two decades, only rudimentary to non-existent information is available within the Selva Maya, where Calakmul is located. Information from this region is therefore essential, as amongst many things, due to its geographical structure and remoteness, may hold a different population and genetic structure from other studied C. moreletii populations within Yucatan Peninsula. Serious conservation concerns have been raised in the scientific community because throughout its geographical range, this crocodile species has been interbreeding with the American crocodile (Crocodylus acutus) and nowadays the majority of populations are dominated by hybrids individuals. As so, very few non-hybrid (parental) populations of these two species exist in the wild. Consequently, the last parental C. moreletii populations have become critically endangered. Only three C. moreletii parental populations were identified in Mexico to this date, and none within the Yucatan Peninsula. We believe that Calakmul, due to its characteristics, also qualifies and still holds a parental population, highlighting the importance of this understudied region. 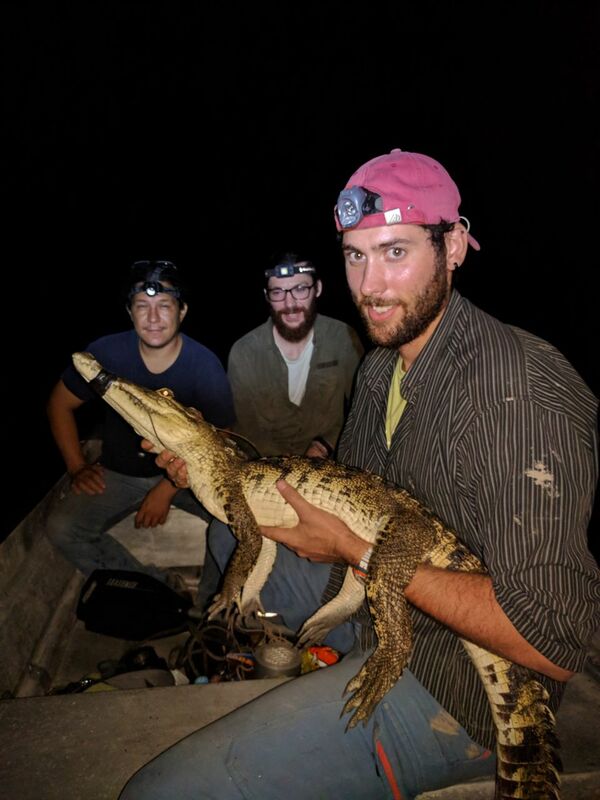 As part of a collaborative project throughout Southern Mexico, we have started to collect genetic samples within and around the Mexican part of the Selva Maya, and unlike other regions in the Yucatan peninsula and Belize, it seems that, so far, crocodiles in Calakmul may represent the fourth identified C. moreletii parental population in all its distribution range. The outputs of our research project represent the first layer of knowledge for Calakmul and for the species in this type environment. We are providing useful baseline information and the building blocks to raise the profile of the reserve and its unique aguada habitats, which is essential when management actions need to be considered to ensure the preservation of aguadas and species inhabiting them. Major breakthroughs in our scientific knowledge of threatened species do not happen every day, so I thought you might like to hear about this and how the Operation Wallacea research is making a real difference on the ground.